RECENT dramatic events arising from allegations that certain officials of the Reserve Bank of Zimbabwe (RBZ) have been involved in currency malfeasance using the bond note as their lever to execute transactions that prejudiced the people of Zimbabwe in general and the economy in particular, have triggered the question of central bank independence among Zimbabweans of different ideological stripes. The fact that the said officials were subsequently summarily suspended by the RBZ pending an investigation into their alleged activities made a bad situation worse insofar as the question of the independence of a central bank is concerned. Members of the general public have long been suspicious that something is not kosher with their central bank, especially given its previous duplicitous role in excessively printing the Zimbabwe dollar, removal of zeros, causing hyperinflation that reached trillions and ultimately reduced Zimbabweans into paupers. When the bond note was formally introduced in November 2016, allegedly to incentivise exporters, the public was even more suspicious that the central bank was up to something sinister. Some observers and analysts argued that the central bank was pursuing snake-oil economics and currency options. In the United States, way back in 1896, William Jennings Bryan memorably wailed: "… You shall not crucify mankind upon a cross of gold." He was railing against the US Federal Reserve's religious belief on the virtues of the gold standard monetary system. Bryan was arguing for the adoption of silver as an additional monetary instrument. Borrowing Bryan's quote above, Zimbabweans can rail against their own central bank (that is, the RBZ): "You shall not crucify Zimbabweans upon a cross of bond notes." The foregoing is reflective of the divisive nature of money in a given society. Money is a lubricant that oils the wheels of the economy. Its ability to serve as a store of value and consequently wealth, makes it a central point of reference whenever a society undergoes financial strife. Ordinary Zimbabweans have a right to subject their central bank to never-ending scrutiny. Within the context of Zimbabwe, the RBZ is a magnet for many of the tensions and social strife that afflict the country. Given its ability to manipulate the currency and therefore affect and influence the distribution of wealth in the country, it is to be expected that the RBZ should be a subject of endless perceptions and misperceptions — hardly an inconsequential issue. Disoriented by the dramatic collapse of their country's financial system, especially since the spectacular rise of the hyperinflation of 2008 and the subsequent demonitisation of the Zimbabwe dollar, Zimbabweans have generally become suspicious of their central bank with some arguing that it is capable of destabilising the economy either willingly or unwittingly. The people's negative views about the RBZ somewhat waxed and waned pursuant to the adoption of the multi-currency system in 2009 through to October 2016. But the suspicion was revived in November 2016 when the RBZ introduced the bond note. 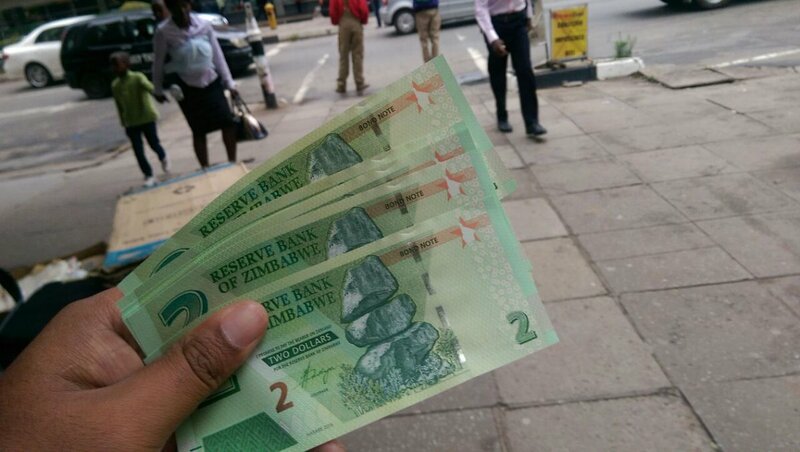 There was a widespread sentiment that the bond note was in fact the Zim dollar in camouflage. Against the backdrop of the foregoing, the central question which arises relates to the so-called independence of a central bank. A central bank is an instrumentality of the government. It is a government agency, just like any other parastatal, except that it enjoys a degree of independence as prescribed by the constitution. However, the independence of a central bank must be understood to be within but not outside of government. In other words, while the RBZ may enjoy intra-governmental independence, it cannot, at the same time, enjoy independence outside of government. From outside of government, the RBZ is viewed as part of government and therefore not independent of government. This is unlike in the auditing profession where the independence of an external auditor is sacred and supreme. An external auditor is not only supposed to be independent, but must be seen to be so in fact and in appearance. However, the position is different with internal auditors. Internal auditors draw monthly salaries from a company and are, in fact, full-time employees of that company. Internal auditors (as distinct from external auditors) can be said to be independent within a company, but an outsider perceives them to be part of that company and therefore not independent. The same analogy applies to the RBZ. The RBZ might be independent within government circles, but ordinary folks out there consider it to be part and parcel of government and hence not independent. It therefore follows that its actions, whether good or bad, are viewed as actions of the Zimbabwean government. With this thin line of independence, of course there is a risk of short-term political considerations, especially during election time, being used by political classes to push an agenda which might prejudice the long-term welfare of the people. The semblance of immunity that the RBZ used to enjoy prior to the devastating hyperinflation of 2008 ended abruptly when the people's savings were wiped out with the demonitisation of the Zim dollar. Thereafter, the RBZ has been viewed as being part of the financial problem rather than a solution. The independence of a central bank is therefore conditional upon that central bank meeting the expectations of ordinary citizens through pursuing policies that are broadly acceptable to Zimbabweans and their political representatives in parliament. It cannot be acceptable in a democratic society that a group of unaccountable and unelected individuals can sit secretly behind closed doors and make decisions that affect ordinary Zimbabweans in such a big way like adopting the bond note and want to remain immune to criticism in the convenient name of central bank independence without being open to full public scrutiny. In other words, independence cannot be used by central banks as a little bush behind which they want to hide from legitimate criticism. Democratic principles require that a central bank be transparent in its capacity as an instrumentality of government. If the RBZ is to maintain the confidence of the Zimbabweans, it is vitally important that it must be as transparent as any agency of government. Furthermore, accountability raises questions about the role of the external auditors of the central bank. Given the alleged duplicitous role of some potential rogue elements within the RBZ, the question which arises relates to the assurance role of the external auditors. From an audit viewpoint, what have they gleaned on the bond notes? The whole process from ordering to delivery of these bond notes. What internal controls and security mechanisms are there? One must bear in mind that any lapse on these poses a threat to the country's financial system. One is not arguing for the RBZ to open up its debates on monetary policy to the public. In financial markets, any immediate disclosure of sensitive information can unsettle and destabilise the financial markets and result in adverse feedback loop. Notwithstanding this reality, a central bank needs to find ways and means of better disseminating information without destabilising the markets it seeks to serve. Central banks need to change with the rapidly changing market conditions. They need to find and adopt newer and better ways and means of communication. Central banks need to understand and appreciate that they are under constant surveillance and are a subject of endless scrutiny. This is a characteristic of central banks everywhere. Consequently, central banks need to adapt to changing circumstances in the global financial markets in general and their own immediate markets in particular. Colls Ndlovu, an award-winning central banker, formerly with the South African Reserve Bank; was previously attached to the International Monetary Fund Institute, in Washington DC, where he completed an advanced programme in specialised financial institutions and derivative financial instruments in 2005. He writes in his personal capacity.